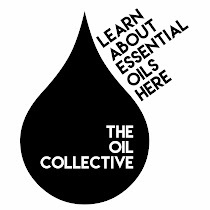 from the nato's: barn owl primitives giveaway! today, the kind people at barn owl primitives that make these adorable wooden plaques are giving you a chance to win a $50 gift certificate to their fun store! they have a million different signs and sayings, but i loved this one. everyday, whether you're going through something big or small, earth shattering or mundane, we are all doing hard things. i was reminded of seeing a friend riding his bike the other day. we both stopped at the same stoplight. lynnie!, i shouted. he wheeled over and looking into his eyes, i could see terrible sadness. i knew why. his wife had lost a battle to congenital heart disease the very night before. i'm glad that you're riding. will you guys be at the funeral tonight?, he asked. and then the light changed from red to green. life kept moving and so did we. to other drivers, he's just a guy riding his bike. but everyone has a story, a hard thing that they're living out right then. we never know what people are living through when we see them and interact with them. it's easy to forget hat we all walk the road of suffering. if not now, then sometime. rapper drake says it best: we're all walking the same road, we just got different shoes on. remembering that lends greater compassion towards others. and yet we need something more. the only way we can do the hard things and remain soft hearted or to look at other people through a compassionate lens, is with Christ's strength. eventually our own strength will wain. we get tired. run to the one who never gets tired. never sleeps. never stops working on your behalf. philipians 4:11 Not that I am speaking of being in need, for I have learned in whatever situation I am to be content. 12 I know how to be brought low, and I know how to abound. In any and every circumstance, I have learned the secret of facing plenty and hunger, abundance and need. 13 I can do all things through him who strengthens me. i pray that i can remember that "secret" today. then leave a comment that you did so. winner will be picked next week! I follow BOP on IG. This sign is such a great reminder for all of us. I liked BOP on FB! Thanks! Hey. liked BOP on FB. happy friday. Love this stuff and your encouragement! I liked them on FB and am following on IG. No fb here- but I follow BOP on IG. Love this little saying & cute sign- love the scripture reference even more :). Have a lovely weekend! Im not on Facebook but I signed up for their newsletter. I just liked them on facebook. What a great little shop. I love so many of their signs! Liked on fb and follow on IG. LOVE this shop and love your words. 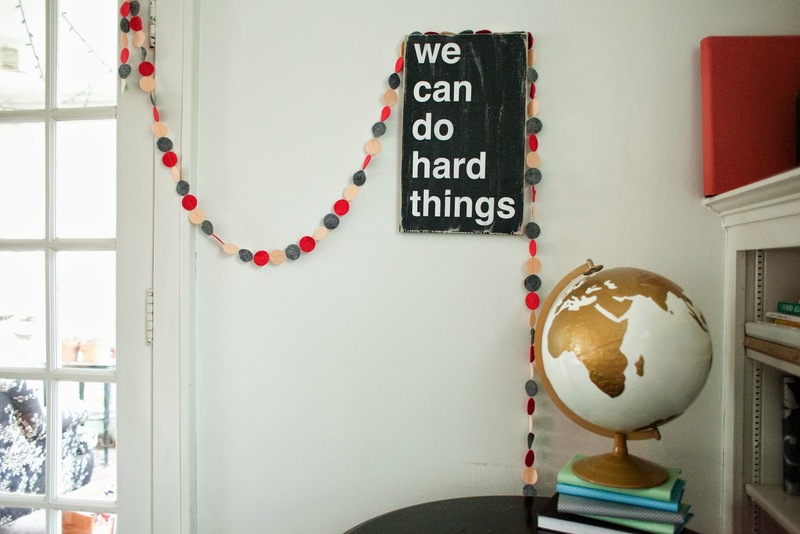 We have been using "we can do hard things" in our house as a mantra lately, but mostly just for small things. It's something I want to get into the habit of teaching my now 19 month old daughter. Hoping that if I can teach her that she can work hard and make a puzzle piece fit that I will be able to expand the lesson as she gets older. I like BOP on fb and am following them on IG. :-) Also, hi Jami and thank you for writing. Always convicting and encouraging! I follow on ig. Thanks for your timely words. Hey-o! I follow on IG. Such a great thing to remember! I love the entire book of Philippians. So great! Followed on IG. Thanks for this! Hello! I just liked Barn Owl on FB and I am following them on IG. I absolutely adore their work! Just liked them on FB and I love this post and that verse, needed that today. Thank you! as always- love your posts! i liked on fb and was added to newsletter. thanks! I liked them on FB just now. And this? "but everyone has a story, a hard thing that they're living out right then. we never know what people are living through when we see them and interact with them." I'm bawling. Because that's me right now, having just found out that our unborn son has an incredibly rare syndrome that's resulted in massive congenital heart defects. I put on my maternity shirt, take my toddler to Target and when strangers ask me when I'm due it's all I can do to keep from screaming, "I WANT TO BE PREGNANT FOREVER! Don't remind me that he's going to be born in 13 weeks, that I won't be able to keep him safe anymore. That he'll most likely die before he makes it to his first birthday." But you can't do that sort of thing. Not really. So I smile and say "the fourth of July" and we share a laugh over such a patriotic due date, and I go on my way, choking back tears and dreading the day and needing more than ever to hear that, yes, we can do hard things. I'm holding space for you in my heart. Ali. I am so sorry. I'm praying for peace for you through this hardship. I am so sorry you have to walk through that. The Lord is near to the brokenhearted and saves those crushed in spirit. ali! will you email me? i have a question for you? I followed on IG! Love that sign! I followed them on ig. Thanks for the giveaway! I liked BOP on Facebook! Liked them on FB! And I get the Newsletter! I liked them on FB. Thanks for the giveaway! Beautiful work. I already like them on FB, but just signed up for the newsletter, too! (I'm not on IG). I love everything in the BOP shop! HOORAY! i liked them on facebook, and i commented on their page, but they redirected me to you! so here i am....wishin', and hopin', and thinkin', and prayin'....plannin' and dreamin'.....for a new piece of artwork that is both beautiful AND inspiring in my home! I liked them on FB... thanks! Thank you for this opportunity! I liked them on facebook, signed up for the newsletter and now follow them on instagram! I love the you are my sunshine sign! did it! love the shop! I already do all three! I signed up for her newsletter a long time ago :) I love BOP! Also, liked on FB and following on IG. I follow both of you on IG!! I like BOP on fb. I follow them on IG and FB. Signed up for the newsletter! I've had some of their signs on my etsy favorites for quite some time! Would love the "I am brave I am enough" sign for our daughter's room! On a side note, Jami, you look fabulous!! And, you crack me up (and, your foundation in Christ is inspiring of course!). So thankful that I stumbled across your blog. Love your writing, it encourages me so much. Thanks. I like Barn Owl Primitives on FB and follow them on IG. Thanks for the chance to win! Following on FB & IG and already subscribe!! I'm following Barn Owl Primitives on FB. I followed on Instagram! Such beautiful pieces! I followed those guys on IG. And hey. I want one of those grooveshark widgets. I used to have a mixpod one and then they lost all their rights to songs or something. cool. Such pretty signs! I started following on facebook. I subscribed to Barn Owl Primitives. I liked and signed up for the news letter! I am now following on Instagram and I liked on Facebook! 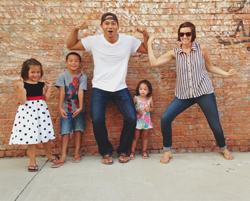 Such a fun giveaway, I absolutely love the Do Hard Things sign, it is a HUGE thing that we teach our kids, and in turn are trying to live out as an example, from something seemingly small like eating healthy or finishing a run when your lungs feel like fireballs, all the way to big things like choosing everyday to love your spouse and serve them, and resist temptation, and LOVE YOUR ENEMIES, what Jesus?? is that really in there? "We can do the hard things" has been our family theme for the past several months. The Lord is pressing us down. We are praying we will be a fragrant offering. I would like this for our home. I liked "barn owl primitives" on FB. I have been walking a particularly difficult road this season of my life, and it has made me so much more compassionate to the roads others are walking. I liked Barn Owl on facebook. I liked them on FB. Love these sayings and signs! I like BOP on fb! I follow BOP on IG! I follow Barn Owl Primitives on instagram. Great stuff! awesome stuff! following on ig! I also follow their IG. I liked on Facebook and I follow BOP on IG.